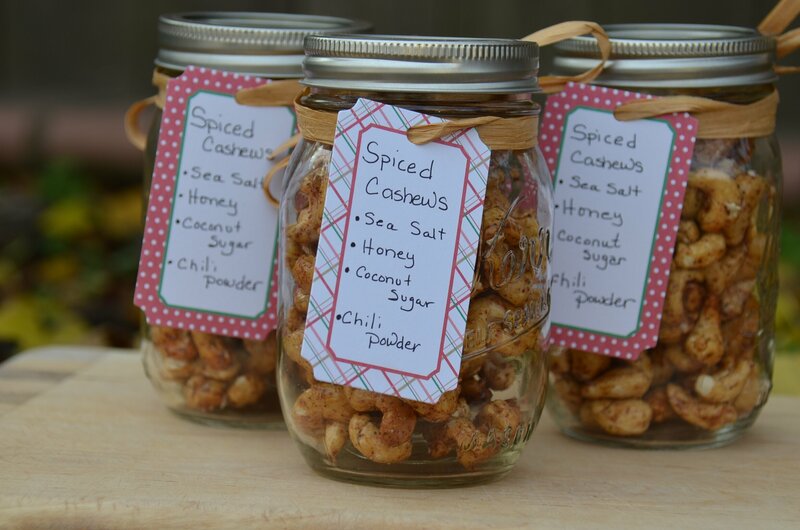 This Holiday I made several batches of spiced cashews as gifts for family and friends. To round out the goodie bag, I added a homemade candle and some chocolate bars. So fun and easy. I happen to adore receiving homemade gifts – I actually prefer it to store bought items. 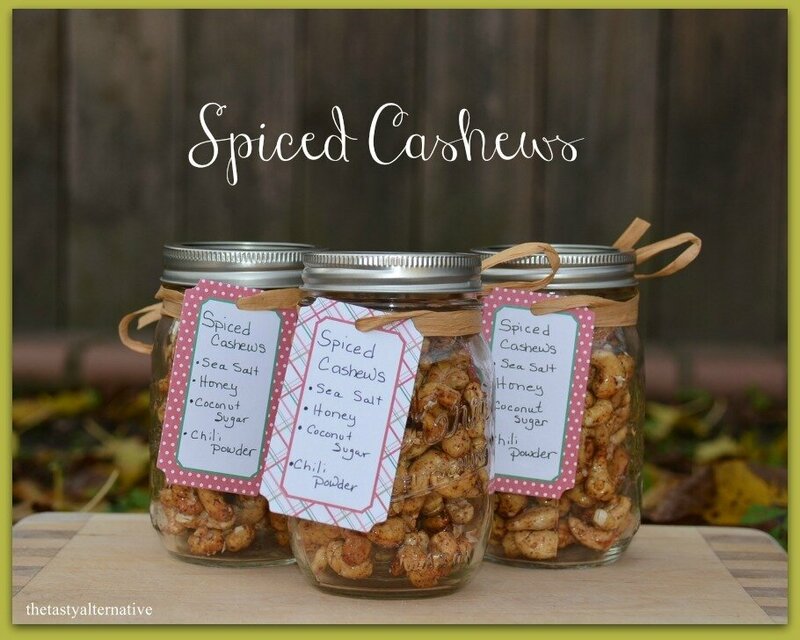 I wanted to share my simple spiced cashew recipe with you today. The combination of spices are endless really, but I like the combo of sweet and spicy. As 2015 comes to a close, I want to wish you all a safe and happy New Year’s celebration and a prosperous 2016. My New Year’s resolutions continue to be the same goals I work on every year, and every day for that matter To be the best me I can be! To put my health first, to work on emotional regulation, to continue working on stress reduction, to spend quality time with my family and friends, to be in nature, to play as hard as I work, to be present, peaceful, and mindful. Here’s to an amazing 2016! In a large bowl, thoroughly mix together all the above ingredients (I use my hands). Line two cookie sheets with parchment paper and evenly spread out the nut mixture. Transfer the parchment paper to a large cooking rack. Allow to cool. If the nuts are too sticky when they are cool, bake again on 350 degrees for 3 to 5 minutes. You can adjust the spice mixture to your preference. Omit egg white and use 2 tablespoons coconut oil. Omit honey and use maple syrup or coconut nectar. Lol! I don’t know how many times we will do it, but our minds are so linked…I have a recipe to post on roasted cashews with the sweet/savory thing going on too….but I use fresh rosemary and cayenne! I bet these are scrumpdiliumptious! Will try your variation!